"Machine guarding hazards remain a top focus for inspectors because of the potential for catastrophic injuries and fatalities,"
Why you need an AED and First Aid/CPR Training at work! It takes on average, eight minutes for an EMS/ambulance to arrive on scene. In the rural areas of Niagara, it can take up to 20 plus minutes. How long would it take you to get help to your worksite? October 1, 2017 was the deadline to comply with the occupational health and safety Working at Heights training regulations. Re-Certifications after 3 years are now falling into place. You have 2 months(December 1st, 2018) to complete conversion to WHMIS 2015. The Ontario government has amended the Occupational Health and Safety Act (OHSA) and the WHMIS Regulation (R.R.O. 1990, Regulation 860). Learn how it affects you. Bill 132 comes into force in September, which is now less than two months away. 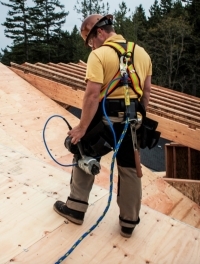 This amendment to the Occupational Health & Safety Act expands upon Bill 168. See how it affects your business. OH NO! THE MOL INSPECTOR JUST ARRIVED! Besides random or regular inspections, workplace accidents will prompt inspections. 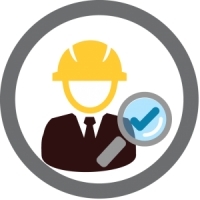 Inspectors generally have broad powers to enter a workplace, operate or test machinery, interview employees and review records.